Everyone loves to spice up their look with a new hairstyle or a trendy new outfit. But how often do you really need to change up your skin care routine? Here at Advanced Clinicals, we love a dependable and consistent skin care routine. But Is it possible that using the same products over and over could result in stagnation, or fewer results? This week we investigate- When is it time to change up your skin care products? Am I Seeing Results? Or is it a Reaction? If you perceive redness, flushing or flaking as a sign that your product is working, prepare to be disappointed! Yes, it’s true that even Dermatologist-recommended therapies like Retinol can cause redness and irritation, but if you don't have these symptoms, it isn’t necessarily a bad thing. It’s possible to see benefits without these telltale signs of irritation. In fact, your skin should adjust to Retinol or Alpha Hydroxy Acids over time. And it doesn’t mean that your product isn’t working anymore. It just means that your skin has adjusted to the side effects. This is one case where “no pain no gain” is simply not true. No Dramatic Changes, Good or Bad? So you haven’t seen any dramatic changes in your skin since the first couple months of using your favorite Serum. What gives? While we may perceive this as a plateau, or a stalling of results, the opposite could be true. If your skin is not breaking out, not dry or irritated, and not showing new signs of aging like new wrinkles or spots, then you’re doing something right! Taking care of your skin is a little bit like following a healthy diet. You’re not always going to drop 10 lbs in a month. Part of staying healthy is just maintenance, and the truth is, if it isn’t broken- don’t fix it. There is a theory when it comes to products. Skin loves routine, and hair loves change. There's some truth to the idea that it's fair game to switch up your hair products. But the same is just not true for your skin. Once you find something that works, stick with it! Skin loves a routine. And for those of us that are guilty of falling asleep with our makeup on, or skipping serums or moisturizers, sticking to a routine is SO important. But My Skin is Bored! Ok- so you’re tired of the same old products. The good news is, you can still switch it up with intensive treatments. For example, to balance oily skin or minimize breakouts, reach for a purifying Charcoal Detoxifying Clay Mask. And if your skin needs a little extra hydration, add a Hyaluronic Acid Moisturizing Gel Mask in the evening before bedtime. Pro tip- don’t wash it off…you can leave this baby on all night long at the end of your routine. It will help seal in all your treatments and you’ll wake up to dewy, fresh skin. There are times when it’s absolutely wise to change your skin care routine. For example- the onset of Summer or Winter. Your skin needs a heavier moisturizer in the winter, and craves lighter products during the summer. And if you are experiencing routine dryness, redness, or breakouts- it just isn’t meant to be. We always recommend our fragrance-free items for sensitive skin, like our Advanced Clinicals Collagen Skin Rescue Cream. Since it’s fragrance and dye free, it makes a great “reset” for troubled skin. What if it used to work? You've been using the same lotion for years and all the sudden your skin is red and itchy. What gives? Most people aren't born with allergies, they develop over time. 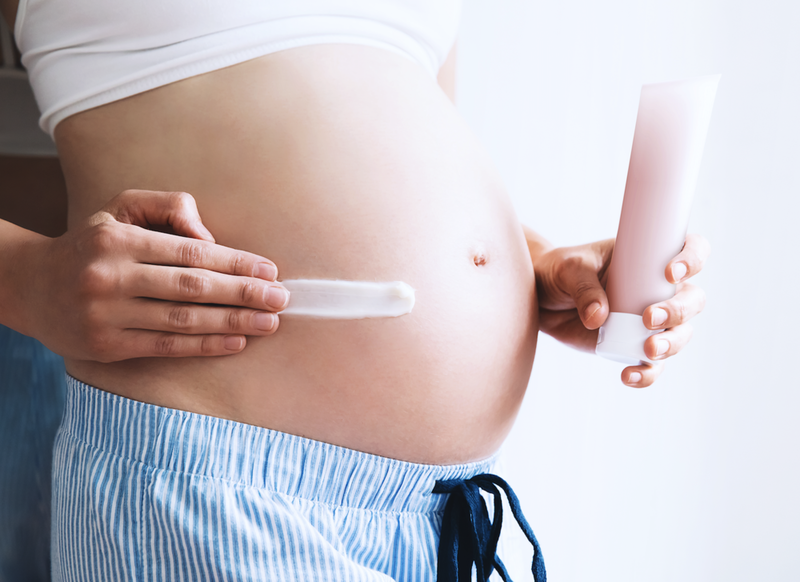 So if you suddenly develop redness, irritation or itching without making any changes to your skin care routine, it's entirely possible that you developed a new sensitivity. The AAD (American Academy of Dermatologists) recommend avoiding triggers, like fragrance. Yet another reason to stock up on our favorite un-fragranced hydrator, Advanced Clinicals Collagen Skin Rescue Cream (Also Amazon's Choice!). Pay close attention to how your skin looks and feels. The absence of negative changes (even if there aren't dramatic positives ones) can be a GOOD thing. As winter temperatures fall and the air gets drier, your skin pays the price. In frigid conditions, the skin is less able to protect itself. This can lead to cracks in the outer layer of skin, loss of hydration, and ultimately, inflammation. Many of us can benefit from a skin care upgrade to combat the blustery months ahead. To counter the drying effect use thicker moisturizers equipped to help protect the skin's barrier. Another skin saver? Kinder, gentler cleansers that hydrate (rather than harsh exfoliating or foam formulations), since skin irritation can increase along with dryness in winter months. Finally, an effort to hyper hydrate and soothe the skin should never come at the cost of ditching daily sun protection. Sure, you may not see as much of the sun during the next few months, but UV rays — the aging and cancer-causing rays that penetrate through windows and clouds, and into the deepest layer of skin — are still kicking, all day, every day. As you gear up to do battle with the elements, holiday shoppers, and other forms of winter warfare, here’s how to keep your skin glowing — even in the shortest and darkest of days. Most people’s skin gets drier when temperatures drop. So, those with already dry skin should double down on the hydrating to keep skin looking luminous. Come winter use a cream or oil-based cleanser that is designed to prevent moisture loss. Upgrade your moisturizer to one with nourishing ceramides and ingredients that protect against the sun. I would also recommend to look for extra hydrating ingredients like hyaluronic acid. The upshot of having oily skin? You can often skip moisturizer altogether in the summer and use light serums to hydrate and nourish instead. But truthfully, oily types can benefit from more moisture come winter. Look for a light, oil-free lotion with sunscreen to protect against cold and wind in winter months. While some may gravitate towards trying milky cleansers we would suggest to continue to regularly use alpha hydroxy acids (AHAs) and retinoids to help control oil production. Finally, for those who naturally produce more sebum should use serums instead of creams for retinoid use, since they're lighter on the skin. Those with both dry and oily skin know that foam cleansers can do wonders to regulate excess oil in summer months. But, now is the time for those with combination skin to switch to a cream or oil-based cleanser. Skin is drier this time of year, so you need to be careful about potentially drying cleansers, like foam formulations. We would also suggest swapping your moisturizer for a more protective hydrator if your skin is looking dry or feeling tight. Try using thicker (but oil-free) moisturizers with ceramides. Ceramides improve moisture retention in the skin by helping to prevent evaporation of water and acting as emulsifiers (ingredients that allow oils and water to combine). Those with blemish-prone skin have long known the virtues of exfoliation — after all, sloughing off dead skin cells can reduce future blackheads and breakouts. However, during this time of year, it's best to ditch the more robust exfoliators. Come winter, acneic skin may require gentler exfoliation. Many are also reluctant to moisturize because they fear that oil and water will further congest the skin. Au contraire. Grab an oil-free moisturizer and fear not. You can be oily and acne prone, but still lack hydration. Acne creams and treatments can cause more irritation in the winter when skin is lacking in hydration. Pick a lotion that’s gentle but also packs major hydrating ingredients like hyaluronic acid. Sure, wind-chilled cheeks can radiate a rosy flush, but the accompanying cracking and drying elsewhere is enough to override that romantic aesthetic. My favorite trick for instantly brightening dull skin is to cleanse for one minute with a sensitive cleansing brush and glycolic cleanser. Immediately after, slather on moisturizer with hyaluronic acid and ceramides. This smooths, plumps, and protects the skin. Retinoids help brighten up dull skin. This will stimulate collagen and get rid of dead skin cells on the surface of the skin. There are a lot of theories when it comes to what works in anti-aging skin care. But, the research shows that stimulating collagen growth is a great way to go, since it helps aging skin cells behave more like young, healthy cells. How can we trick cells into acting young? By using serums and creams pumped with retinoids and antioxidants. Along with peptides, these ingredients send messages to your skin cells that cause them to rev up collagen production, ultimately helping the skin to maintain its elasticity. No matter what time of year, those with sensitive skin can benefit by steering clear of foam cleansers (which can dry the skin) and harsh abrasive exfoliators (which can trigger irritation). Also on the ditch list? Skin-care products with alcohols, sulfates or fragrance, since they can not only irritate but dry out skin, too. During the winter months, as skin is more likely to irritate, it may be necessary for those with sensitive skin to reduce the frequency of evening retinol use. Whether your skin tone turns pink around the center of the face or you suffer from a more severe case of rosacea, winter air can be particularly triggering. Rosacea can flare in winter, products with added anti-inflammatory ingredients — like niacinamide and licorice — can help. With each passing year and with new skin problems popping up everywhere (hello acne in my twenties! ), I’m becoming more and more aware of how important it is to take thoughtful care of my skin. After all, it is the true foundation under your makeup. What I didn’t know is that there is, in fact, a proper order to apply facial products, and that doing it correctly makes a big difference in how our skin absorbs important ingredients. I’m all for a process that helps me get the most out of my skin care regimen and if you feel the same, then keep on scrolling to learn how you should be applying your skin care products before you curl up in bed. First and foremost, your products can’t do their job without a clean surface. Always thoroughly cleanse your face (even if you don't wear any makeup) to remove dirt or sweat that may have accumulated throughout the day. In most cases, exfoliating daily can be oversensitive for the skin, but on the days that you do exfoliate, make sure it comes right after you cleanse. Exfoliation removes dead skin cells from the surface of the skin, meaning anything you apply afterward will be able to dive deeper into the skin, instead of getting blocked by dirt and grime. If you’re treating stubborn acne, age spots, uneven texture or anything in between, then load up on your facial treatment products. Since you'll be going to bed, these products will be under optimal conditions to work their best. Tip: This includes face masks! If you prefer a simple soothing mask, apply it after your treatment products to calm and cool skin after active and intense ingredients. Serums are products that contain very concentrated active ingredients, and usually come in smaller containers because a little bit goes a long way. Now that your skin has been cleansed, primed, and treated, you’ll want to apply your serum at this stage. Doing this on clean skin, but before any moisturizer or heavy creams, means those concentrated ingredients will be able to penetrate the skin without any roadblocks. If you have an eye cream on hand then now is the time to use it. Since the under-eye area is so delicate, applying your eye cream at this point will allow you to reap all the benefits without being blocked by a heavy moisturizer. Whether you’re applying a light daily moisturizer or a heavier night cream, make sure it always comes last in your routine. Saving this step for last creates the added benefit of locking in all the ingredients you previously layered under it, as well as some much needed moisture. When fall comes, we often feel a need to cocoon a little more. The available hours of sunlight begin to diminish and we may feel physically and maybe even emotionally different. If so, know it’s totally natural. Fall embraces the coziness and warmth, so cozy up with your favorite cardigan and a good read to relax and endulge your senses. But it is also wise to adjust your skincare routine a little too. It’s a good time to refresh and make sure you don’t make some skincare mistakes. Here are your fall skincare dos and don’ts. Moisturize a little more. Or even go a step further and opt for a heavier moisturizer as your skin will probably become a little drier. 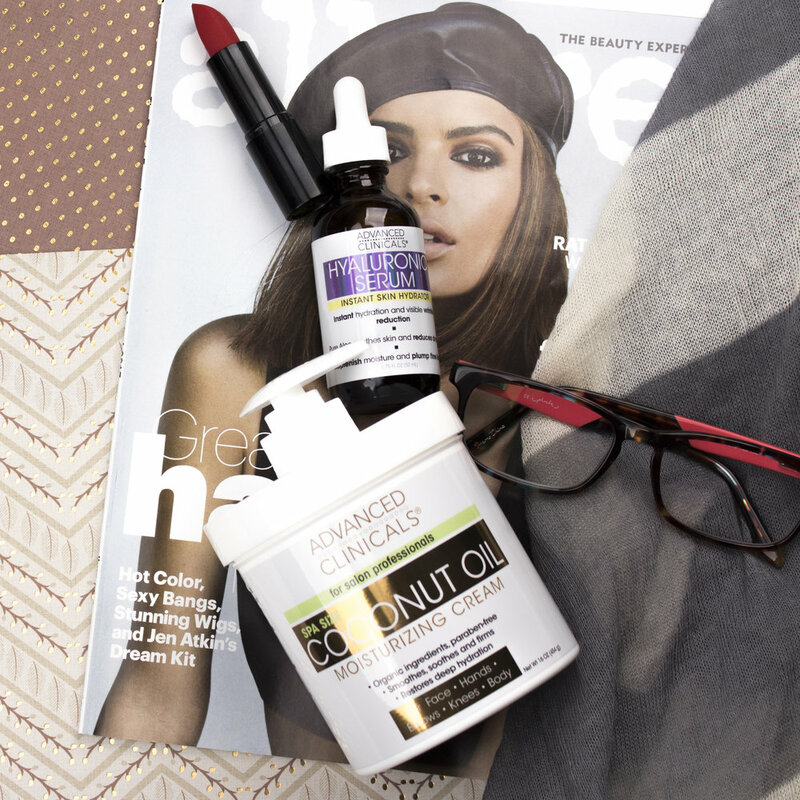 Our Spa-Size Coconut Oil Beauty Intensive Cream will do the trick. Looking for firmer skin? Use Retinol Advanced Firming Cream at night. Indulge in a hot bath or a long shower. When fall comes you want to avoid drying out your skin more and this can happen when you take the lengthy bath or long, hot shower. Get enough sleep. One of the best and easiest things you can do for your health is get enough rest. You will feel rejuvenated inside and out. You probably already feel a bit more tired, so listen to your body and give it the rest it needs and deserves. Forget to keep applying sunscreen. Keep your skin protected all fall and into the winter. The sun can still damage skin. Feed your skin well. We have super antioxidant-rich serums intended to rehydrate, restore, and deliver powerful ingredients to your skin. They are meant to absorb into your skin and replenish skin cells, boosting your skin to a radiant glow and firming up tired, dried out skin. Find your favorite. Learn more here. Sleep with your makeup on. Your skin renews itself when you sleep and leaving your makeup on can result in dryer and more blemished skin. And with fall, your skin will already be dryer. This is an absolute no-no. Eat poorly or not get enough exercise. When you indulge in fast food, junk food, or simply overeat, it will show on your skin. Maintain holistic health by eating a balanced, nutritious diet. More specifically, warm yourself with tea and soup this fall, promoting balance and comfort as your body stiffens and adjusts to the new season. Exfoliate once a week. Be mindful not to over exfoliate your skin! Sure it’s great to wipe away dead skin cells, but you don’t want to strip your skin of cells that are trying to renew, heal, and grow. It’s dry skin that you want to slough off. Stick with once a week so you can give your skin cells time to grow and your skin time to replenish and re-hydrate. Believe it or not, but when you exfoliate you can actually create more wrinkles, scarring, and dry skin. Forget to enjoy leisure time. Appreciate the change of weather and grab a coffee or tea, a blanket and book and get cozy. Summer is all about heat and activity. It's time to slow down a little more. Take extra care of yourself. Hope all these do's and don’ts have helped inspire you to nourish yourself and your beautiful skin. If you have created a substantial facial budget for yourself, you are envied by most, if not all, women who care about their skin. However, if you are not taking good care of your skin after your facial, then why even spend the money and time? Even if seeing your esthetician is a special occasion kind of thing, you should (and want to!) prolong post-facial complexion perfection. Below are some tips to follow so your skin won’t go back to normal right away (by normal, I mean a little blah). Not that you need to be reminded, but I’ll repeat it just to emphasize the importance of hydrating. Thirsty cells will not carry out their functions like they should. After a facial, you’re one step ahead of the glowing-skin game. But to really win, grab a glass of H20. Don’t forget that what goes into your body is just as important as what goes on your skin. This rule can be difficult to abide by. I recently received a facial and had plans of going out shortly after, so makeup was needed. This is a huge no-no. In the hours after a facial, your skin cells are regenerating faster than usual. You’ll want to let your freshly cleaned pores to breathe. If you must put on makeup, keep it to a minimum and make it mineral. Mineral makeup after a facial is best because it is gentlest on fresh new skin. It also can be quite soothing, especially if you had extractions, as it can actually help reduce inflammation. The healthy glow immediately achieved following a facial typically lasts 48 to 72 hours. The skin is deeply hydrated during this time, and circulation is boosted, allowing fresh blood to bring new nutrients to the cells. To stretch this even longer, caring for the skin using the right products is key. Your skin has probably experienced a more intensive treatment than it is used to, so boosting your antioxidant use (to help protect your skin and heal properly) is vital. Vitamin C also has brightening benefits to keep the glow factor glowing. Instead of just slathering your products on, gently massage them in. When you receive a facial, your esthetician isn’t massaging your skin just because it feels like heaven. It increases lymphatic drainage and circulation, which brings nutrients and oxygen to your complexion. The new nutrients in the skin allow and encourage a youthful radiance and glow to surface in the face. Ask your esthetician how to do a mini at-home facial massage to continue the lifting and firming long after your treatment. Don’t. Stop. Hydrating. Even if you feel as though your skin couldn’t possibly use ay more moisture after a facial, continue to hydrate! If you received microdermabrasion or any professional form of exfoliation, your skin’s natural oils will be reduced. Using a moisturizing mask once or twice a week will help make the results of your facial last longer. Be kind to your skin after a facial. You can guarantee you’ve met your exfoliation needs the week after your facial, so put down those scrubs and exfoliating acids. Over exfoliation can lead to irritation, redness, dryness, and breakouts. Wait about a week to get back into your exfoliation routine. The simplest way to maintain the glow is to wash your face, religiously. Don’t be lazy and skip out on washing your face because you’re too tired (yeah, we’re all guilty for it…). You’ll never see the results you want if you skip out on this crucial step. Make sure to wear your sunscreen as well! Protect that beautiful face of yours.